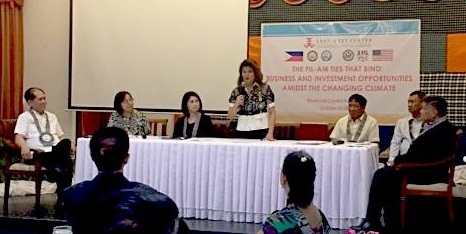 A forum titled “The Film-Am Ties that Bind: Business and Investment Opportunities Amidst the Changing Climate” was held on October 24, 2017 at the Mariano Marcos State University in Laoag City, Ilocos Norte. Organized by the East-West Center Alumni Association-Philippine Chapter and the Provincial Government of Ilocos Norte, the event focused on the investment opportunities for Filipino migrants in Hawaii in light of the U.S. government’s current migration policy. 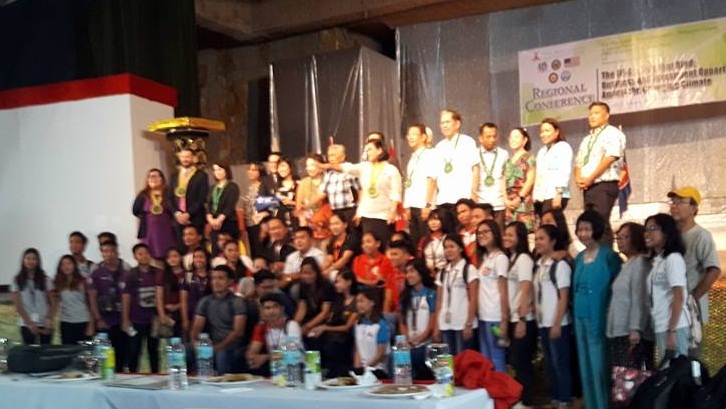 The resource persons in the forum included those who came from the University of Hawaii, US Embassy in Manila, and the Filipino Chamber of Commerce in Hawaii. As writer and co-publisher with the International Organization on Migration (IOM) of a Handbook on Reintegration of OFWs, SERDEF was represented in the Forum by SERDEF Trustees Ms. Serenidad Lavador and Prof. Tabbada, and SERDEF Finance Officer Gloria Canela.